Getting older is inevitable, but you don’t have to look your age. 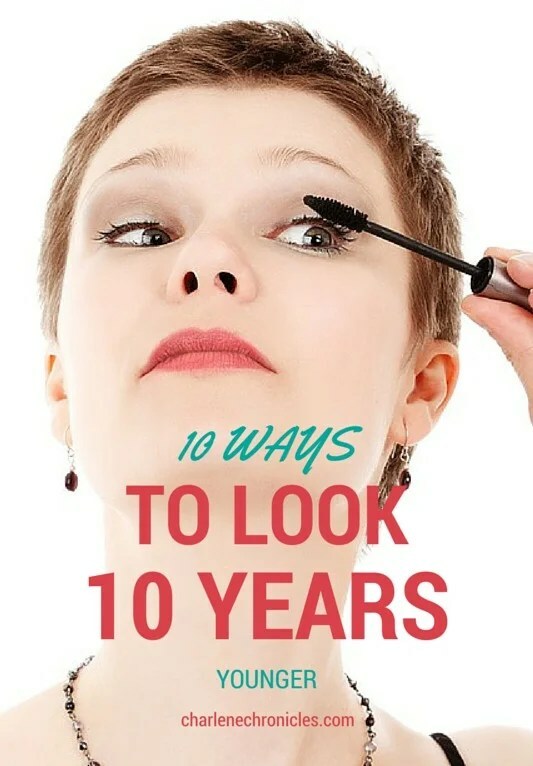 Whether a natural approach or a more, medical type solution, here are 10 ways to look younger. 1. Re-do your do: Perfect, symmetrical curls and waves and tight updos read ‘granny’. Go for a softer, messier look in a hairstyle. As for color, nothing ages faster than a single solid hue. Whether platinum blonde or raven black, add dimension with highlights or lowlights, especially around the face to make skin glow. 2. Fill in the lines: Ask your dermatologist about Botox or laugh line fillers like Restylane and Juvederm. They last for a few months and me the extra oomph you need without committing to a face lift. 3. Fill in the FINE lines: Consider a “smile lift” otherwise known as porcelain veneers. Not only can this magic transformation correct chips, cracks and imperfections and brighten teeth, they can also help plump out some of the fine lines of the upper lip. SmileSimplicity is a new generation pain-free porcelain veneer that does not require any drilling away of sensitive tooth structure and thus no anesthesia. Check with your dentist for options. 5. Out the brown spots: When you don’t have time to wait for a skin brightening cream (which works gradually after consistent use) to do its job, consider a laster treatment to remove skin discolorations. Hint: you can have them on your hands too. 6. Go beyond the face – exfoliate and moisturize for an instantly younger look…on your hands. Your hands can give away your age so don’t forget to pamper them too. Plus, don’t forget your neck and décolletage for the same reasons! 7. Stand up straight. Your mother always told you to, and now you wish you had listened. Poor posture can be a result of weak core muscles, so try adding a few planks into your daily exercise regimen. Start at 15 seconds and gradually add to your time. Alos think about red balloons. Dr. Weiss from Performance Health Center in Natick MA provides the image of a balloon tied at the end of your chin, at your collar bone and your breast bone. Imagine those balloons lifting those areas and you posture will shift subtlety and improve your posture. 8. Be flexible. Get into a regular routine of yoga or barre classes. Not only will you tone and tighten, but it will lengthen your muscles and give you a leaner and peppy appearance. 9. Tooth whitening. Today, there are more tooth whitening options than ever to consider, from whitening toothpastes and mouth rinses to gel trays and strips to in-office professional treatments. While more costly, in-office procedures usually produce the fastest, most dramatic and long-lasting results. So check with your local dentist for options and prices. 10. Frame your face. Thinning brows are a sure sign of age, so don’t forget to fill them in with a soft pencil. It gives an instant change to your face focus! Of course, the number one thing you can do is just embrace your age! Enjoy those laugh lines and battle scars you have earned! What tips do you have? Whether it a natural approach, a medical approach or a hands off approach?